Our exclusive Together We Make A Family Engraved Reflections Frame perfectly pieces together a heart puzzle to form their loving family. 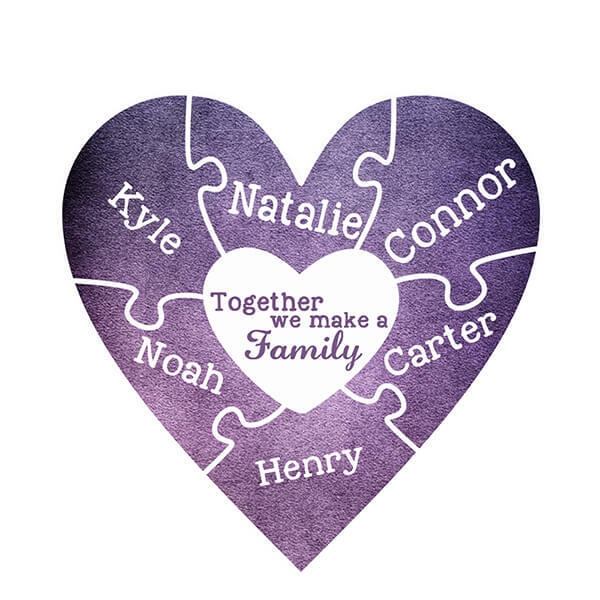 Choose from our 2 - 8 name puzzle piece designs, perfect for couples and families. "Together we make a Family" will be scripted in the center to complete our design.